People beside the track to Gatescarth, 1920s-1930s? 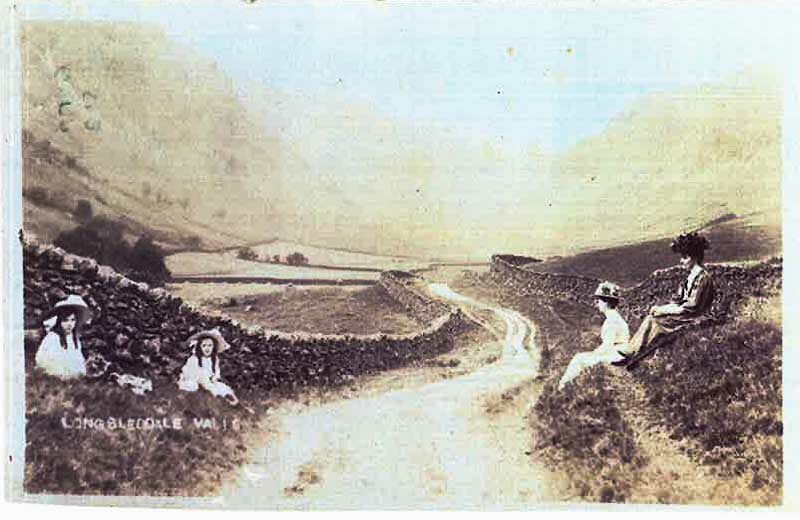 Postcard, sepia toned and tinted photograph of people sitting by the track from Sadgill to Gatescarth, 1920s-30s? titled "Longsleddale Valley".